Five years ago, you might not have considered SEO an important part of your job as a WordPress web developer but times, they are a changin’. As this online marketing tactic has gained notoriety and importance as an organic method for driving web traffic for your clients (and your own online properties), your web development business is at a loss if you don’t at least understand the basics. In order to be truly effective with SEO, you can’t just make assumptions as to what people are searching for, how many are trying to find an answer to their queries, and what the intent of their search says about their position in the sales funnel. To be certain, there are hundreds of SEO tools that you can use. The challenge lies in separating the need-to-haves from the nice-to-haves. If SEO represents a small part of your business, and you’re operating without the support of agency overhead, you’ll want to be purposeful in your choice of SEO tools to add to your arsenal. Let’s take a look at SEO tools at every budget. Whether you’ve got some money to blow, or are just getting started and have to evaluate access to every tool with a frugal mindset, there’s a solution to assist your efforts on this list. Although there are plenty of free SEO tools available on the market (more on those in a bit), you won’t be able to achieve the same quality when comparing performance with the following paid SEO tools. You definitely get what you pay for and the best of the best SEO tools have been created to make it easy for anyone to take action on available data. Moz is an SEO consulting company that has been helping businesses rank on relevant searches since 2004, first launching Moz Pro in 2007.Moz offers both free and paid SEO tools. Moz offers both free and paid SEO tools, though their paid SEO tools are the company’s biggest claim to fame, their free SEO tools are certainly nothing to scoff at. 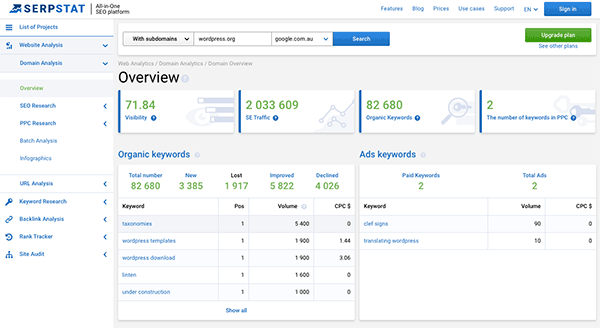 Moz Pro is Moz’s all-in-one SEO offering with features that include keyword research, link building, site audits, and page optimization insights. Pricing starts at $99/month for the standard plan, and they offer a 30-day trial for the medium plan ($149/month). MozLocal offers the specific application of Moz’s SEO tools for businesses looking to improve their local SEO. MozLocal is a listing management solution that helps customers find businesses online. You can test the tool by getting your free listing score, and paid plans start at less than $9/month per listing. Moz Keyword Explorer, which helps you find the perfect keywords for your site. Moz Open Site Explorer, which aids in uncovering content and link building opportunities. The MozBar helps you to examine and analyze important search, social and page metrics for websites that you visit, through a browser extension. 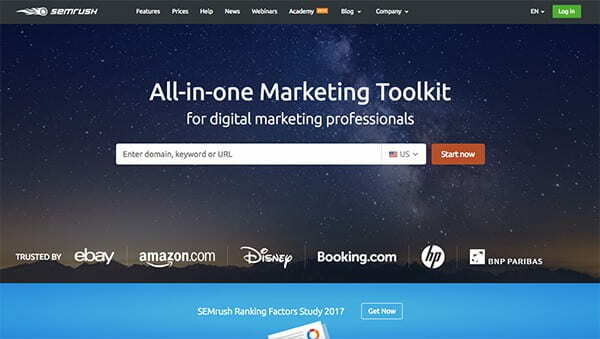 SEMrush offers an SEO toolkit for marketing pros. SEMRush is a versatile SEO solution that is arguably one of the best tools in the industry alongside Moz Pro. SEMRush’s keyword research shows the top keywords competitors are using and this is considered one of the top product features. Pricing starts at $99.95/month for the Pro plan. 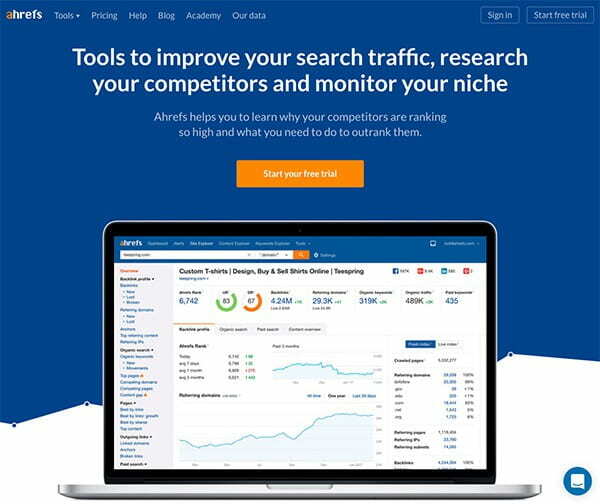 Ahrefs offers comprehensive SEO management tools. Many SEO experts tout Ahrefs as their personal favorite SEO tool. Compared to SEMRush and Moz, it is considered as one of the best backlink analysis tools in the industry. Ahrefs boasts of the largest link database of over 12 trillion links (and counting), which is updated at least once a day. Plans start at $99/month for their Lite plan, with free trials available. Buzzsumo can help you analyze topics. BuzzSumo isn’t an SEO tool in the same way that Moz, SEMrush and Ahrefs are, but it’s impossible to deny the intimate link between content and SEO. 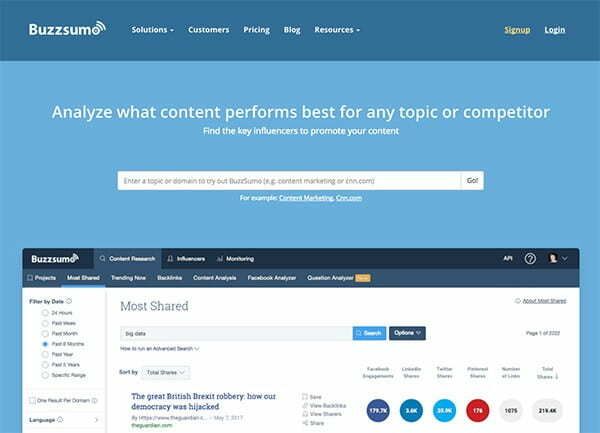 Buzzsumo fits in on this list of SEO tools as a solid content research tool. This SEO tool allows you to identify how your content is performing compared to your industry as a whole, in addition to making it easy to identify major industry influencers. This tool is ideal for analyzing what content is performing the best for different topics, and against competitors. Pro plan pricing starts at $79/month, with a free trial available. If you freelance, it can be hard to justify the costs associated with the best of the best SEO tools on the market. Luckily, there are plenty of mid-range tools to help you get the job done. SerpStat provides in-depth keyword analytics and other SEO tools. The use of all of these modules can help to improve your search engine ranking. Their plans start at $19/month for a Personal account and $499/month for a Business account. Like many SEO tools on this list, a free trial is available. SE Ranking provides SEO analysis and promotion tools. SE Ranking is another all-inclusive cloud-based SEO software program. 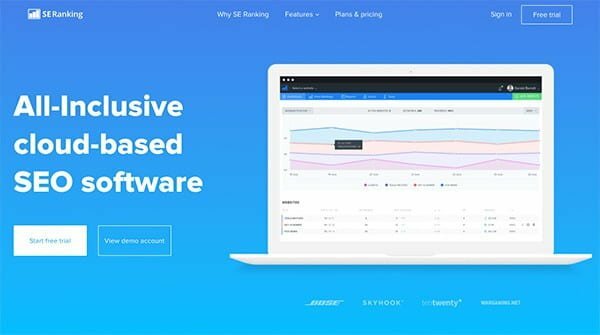 It offers many features, such as keyword position tracking, a competitor research tool, backlink checking and monitoring, and a deep website audit. For those that manage many clients (like agencies or webmasters), SE Ranking has the perfect multi-property setup. Pricing starts at $7/ month for a Personal account, and they offer 14-day free trial. Both SE Ranking and the aforementioned SerpStat have previously been offered as lifetime access deals on AppSumo for $49 total, so sign up for AppSumo’s email newsletter to be alerted if the deal drops again. AppSumo’s new Briefcase subscription offering includes access to SE Ranking and a number of other tools beloved by business owners for $49/month. 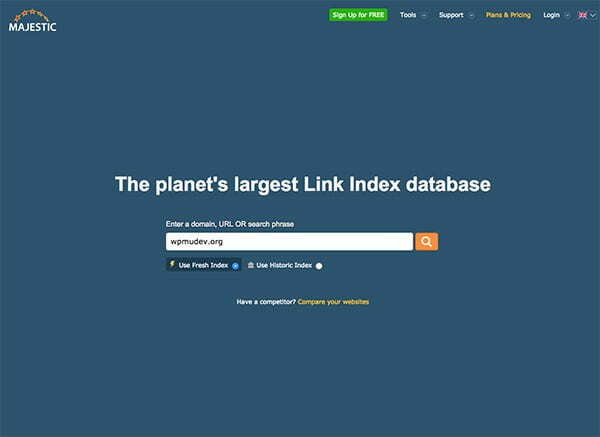 Majestic SEO claims to have the largest link index database in the world. Majestic SEO is most well-known as a link intelligence SEO tool. Similarly to Ahrefs, it has one of the largest link index databases. Metric features “TrustFlow” and “CitationFlow” help SEOs to understand whether the site you want to get a link from is authoritative or spam. Pricing starts at $79.99/month for the Lite plan. 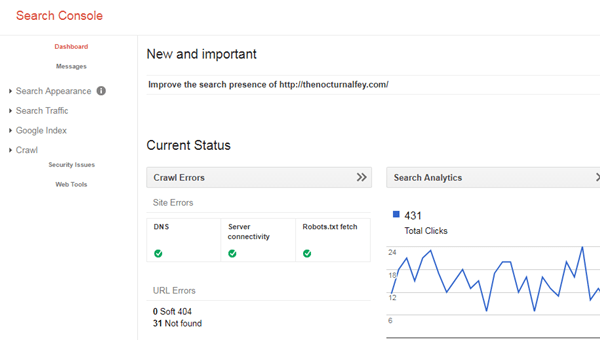 SmartCrawl is WPMU DEV’s SEO plugin. 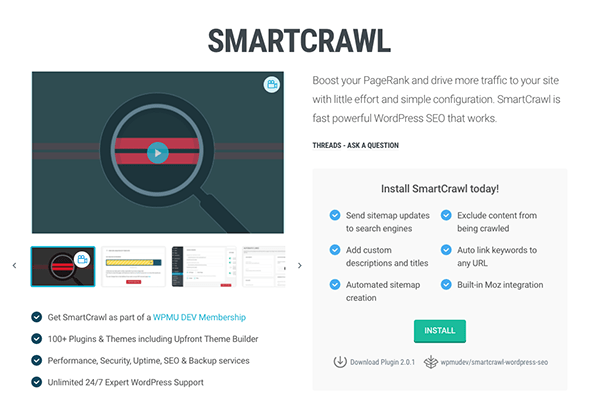 SmartCrawl is a premium SEO WordPress plugin that was created by WPMU DEV. It aims to boost PageRank and drive more traffic to your website. A simple configuration is all that’s necessary for SmartCrawl to deliver fast and powerful WordPress SEO, making it easy for your content to be found on search engines like Google and Bing. All you need to do is download, install, and activate the plugin and it will automatically generate a sitemap for your site. You can manually configure your settings by going from your WordPress dashboard > Settings > SmartCrawl. Pricing starts at $49/month for access to all of WPMU DEV’s plugins (including Hummingbird and Defender), with a 30-day free trial available. The SEO Framework is a fledgling SEO plugin created by a WPMU DEV member that is quickly gaining ground. 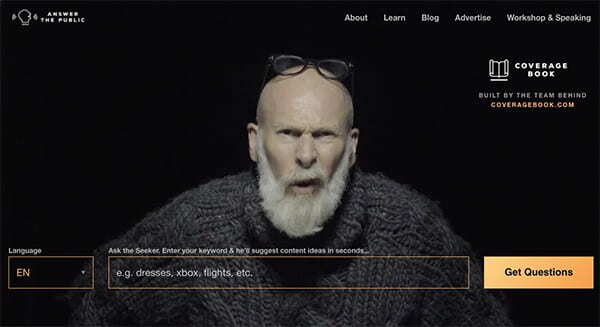 Sybre Waaijer was working on a client project that used a theme that didn’t have sufficiently advanced SEO settings so he decided to write his own plugin to get around it. Given that he felt that he had learned quite a lot from the WPMU DEV community, he thought it would be great to give something back. In May 2015, he published his SEO plugin and made it available to other WPMU DEV members. After getting positive feedback from other members, he released the plugin to the WordPress Plugin Repository. People prefer it to some traditional all-in-one SEO plugins, as it is free of ads and unnecessary bloat. It’s perfect for general SEO tasks and checks on your website. 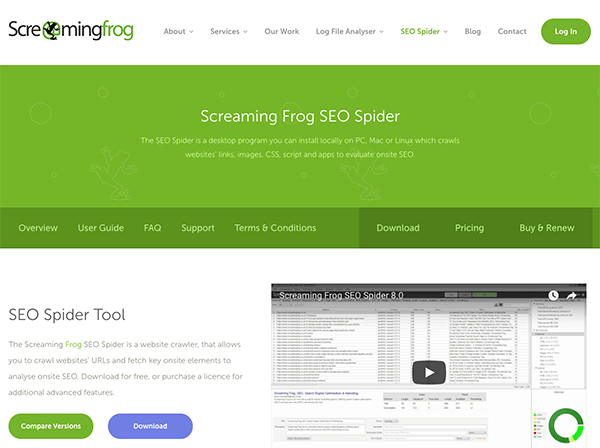 Screaming Frog is a great SEO tool for auditing your website, spitting out a detailed analysis of any present technical problems. Though they offer a free plan, the upgraded paid plan is very affordable at just £149.00 per year. Before purchasing access to any of the aforementioned SEO tools, it’s helpful to start with a solid understanding of the most popular free SEO tools. If you don’t understand how to use these basic features, you’ll be overwhelmed when you’re otherwise ready for an upgrade. The following can get you most of the way there when it comes to performing various SEO tasks on a small business website. Additionally, the use of these tools can bolster SEO efforts with the aforementioned paid tools. Ask the Seeker and get content ideas. Answer The Public is a free visual keyword research tool. It combines Google AutoSuggest scraping with a question scraper. This tool provides easy access to the questions that your target audience types it on Google, which can be incredibly useful for content topic development and finding semantic keywords. 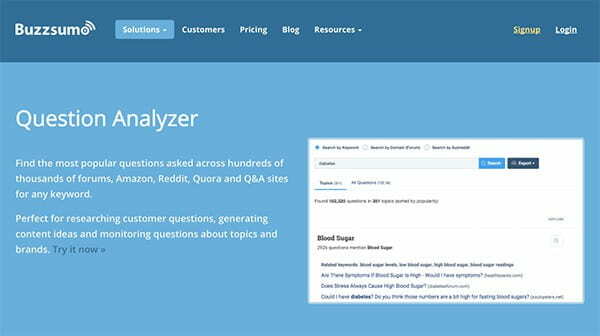 Find the most popular questions asked across hundreds of thousands of forums, Amazon, Reddit, Quora and Q&A sites for any keyword. BloomBerry is a free tool created by BuzzSumo and is also known as the Question Analyzer. This tool makes it easy to research questions asked across popular forums such as Reddit, Quora, and Amazon. Like Answer The Public, Bloomberry helps you find relevant keywords and conduct research on customer questions, which will help you to generate content ideas. 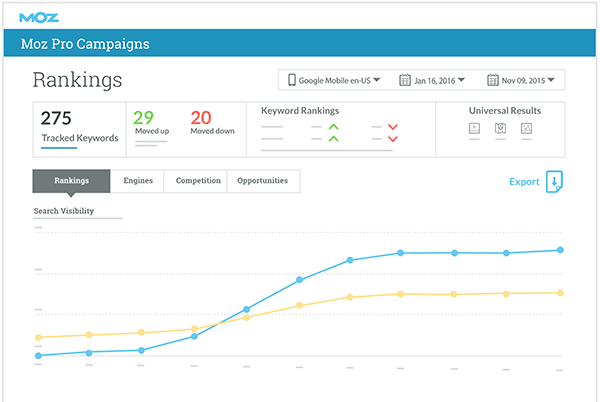 Use Übersuggest to quickly find new keywords not available in the Google Keyword Planner. UberSuggest is a keyword research tool that helps you find new keywords that are not on Google Keyword Planner that can be used as topic suggestions. For a free tool, it does its job well, with unlimited searches available to you. Organize your search results into topics with Carrot2. Carrot2 is an open source search result clustering tool. It helps you to organize search results in thematic categories as a quick overview and offers more effective browsing. Like the aforementioned tools, it is ideal for topic development and research. Start generating Latent Semantic Indexing (LSI) Keywords. 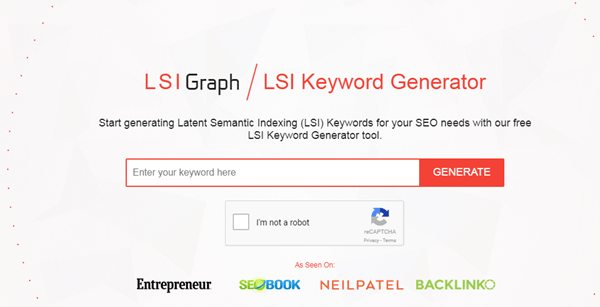 LSI Graph is a latent semantic indexing keyword generator for your SEO needs. LSI keywords are keywords that are semantically related to a primary keyword, not to be mistaken with synonyms of the primary keyword. 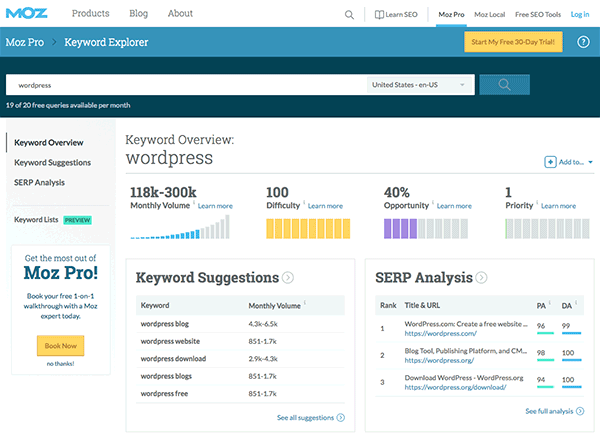 In essence, this tool helps you find related keywords to your primary keyword. The inclusion of these related terms within content is considered essential for modern SEO efforts. Get keyword ideas to help build your campaigns with the AdWords Keyword Planner. Google’s Keyword Planner is probably the most popular and the most used keyword search tools. It’s fairly straightforward to use—just search for a keyword, and you’ll get a lot of useful data. Data is separated into columns, such as “competition” level and “estimated bid”, which tells you how likely you are to convert using the keyword you searched. Google Search Console is a free service offered by Google that aims to help your sites get found on the web. It helps monitor and maintain your website’s presence, determines if you have metadata duplicates, periodically checks on possible security issues, provides a list of pages you have indexed, and so much more. With this tool, you’ll also be able to see the list of keywords that you are currently ranking for. One of the most important technical SEO ranking factors is a website’s loading speed. PageSpeed Insights makes it easy to scan your website and determine the loading speed based on how Google interprets it. This tool will tell you if your website speed is poor, good, or needs more work. Additionally, it will call out specific issues and possible fixes. Another Google tool that can help you to improve your site’s workflow is Google Optimize: Google’s alternative to A/B testing. It is free to use, and the perfect gateway for those who want to learn more about A/B testing. These tools exclusively help with keyword research for one specific platform. The Reddit Keyword Research Tool lets you extract keywords from a subreddit. Keyworddit is the only tool that was specifically created to extract keywords from Reddit. Simply type the name of a subreddit, pick one from the auto-generated list, then extract keywords from that subreddit. Optimize Pinterest board titles with this useful free tool. 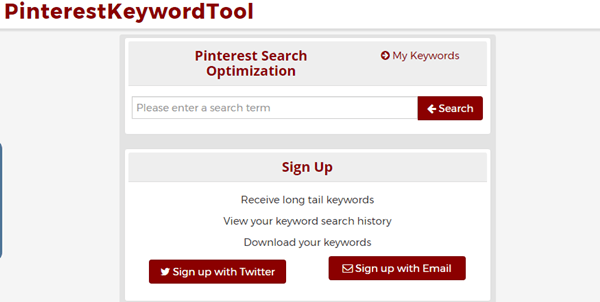 PinterestKeywordTool helps in optimizing Pinterest board titles. It’s been reported that Millennials use Pinterest almost as much as Instagram, which is why focusing on your Pinterest content is important. Like Google Keyword Planner, the free Pinterest keyword research tool allows you to research long tail keywords, check your keyword search history, and download your keywords. The SEO tools on this list represent just a fraction of those available. There are many more that can be helpful to you, depending on the specific tasks you’re looking to execute. Trial and error are important for determining the best SEO tools to add to your arsenal, so take advantage of those that offer free trials. Just make sure that you don’t let the free pass you by before giving tools the full run-through!